As the weather begins to shift and the fall excitement is in full gear, this One Tank Trip will be a great cap for Summer 2018. Red River Gorge is full of fun and adventure for the whole family and won’t put a dent in your wallet. The Gorge is home to a sandstone rock bridge in Kentucky called the Natural Bridge. The Natural Bridge refers to a particular sandstone rock bridge that is 65 feet in height and spans 78 feet in length, being one of the most visited arches at The Gorge. The only outfitter in the area, Red River Adventure leads kayak and canoe tours along the Red River. I’d advise taking pictures and stopping to appreciate the views at Creation Falls or swimming at the Jumping Rock swimming hole. Whether you’ve dreamed of going rock climbing or are a seasoned pro, Torrent Falls Climbing Adventures can teach you the basics or take you on a challenging climb up the canyon walls. 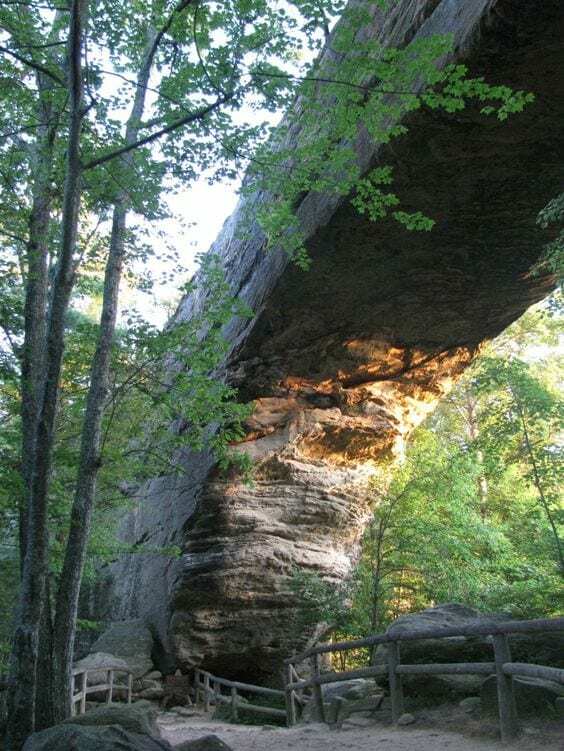 Located in the Natural Bridge State Park, the Natural Bridge offers a popular tradition every Saturday from May until October. From popular Appalachian square dancing, line dancing, polkas, and waltzes, each family can show off the dance they learned to their friends and family back home. The event is ideal for both couples and individuals or bring an entire group for a day of fun. These suggestions are only scratching the surface on what Red River Gorge has to offer. As a frequent visitor, The Gorge is a place to get away for a day or a weekend and just enjoy nature and the views. This One Tank Trip is a must to top-off a fun family filled summer.